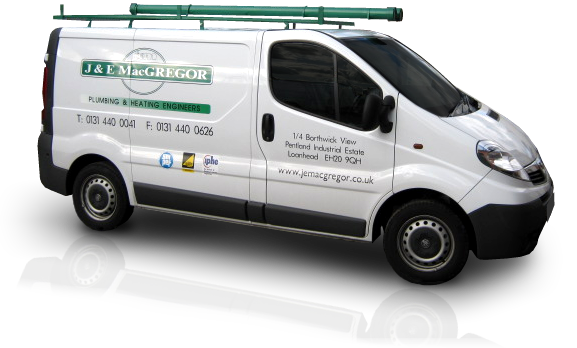 At J & E MacGregor Ltd., we aim to provide a reliable, friendly and quality service for all types of plumbing, heating and gas servicing throughout the Edinburgh area. From the replacement of a tap washer through to complete bath & shower room refurbishments and from gas fire and boiler servicing, including Landlord Certificates, through to full boiler and heating system replacements. We only use fully trained and qualified engineers to provide our service. Call us on 0131 440 0041, and see what you think……. Run by ‘The City of Edinburgh Council’ and vetted by Trading Standards, with the support of Police Scotland, the Trusted Trader Scheme is a local business partnership aimed at increasing consumer confidence, promoting good practice within local business, and helping protect citizens from doorstep crime. Any person can go onto the Trusted Trader website for information and verification of any accredited business (www.trustedtrader.scot). Do you need a new boiler or central heating system? Someone to install your new gas fire or provide a cost for a shower or bathroom refurbishment? Give us a call on 0131 440 0041 and we’ll book a date and time for a visit to allow you to ask all your questions and review options, allowing us to prepare a free estimate, tailored to suit your requirements. Through the years, we have built up a wealth of knowledge and experience covering a wide range of plumbing and heating services. For comprehensive information relating to our range of services, please click the appropriate tab at the top of the page.